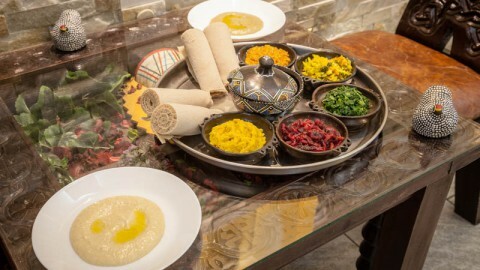 Choose an Ethiopian restaurant and discover an exotic cuisine with gently spicy notes. Allow yourself to be surprised by ayibe, kitfo, and doro wat. It tastes best when you eat in the traditional manner, with your fingers, using injerato scoop up wat!